Menjivar's Painting is proud to offer Deck Staining in Revere Massachusetts. We also provide Deck Restoration in Revere Massachusetts. Sun exposure, wind and rain can damage the surface of your Revere Massachusetts deck in no time! UV rays and moisture can damage deck surfaces that have lost their protective seal. 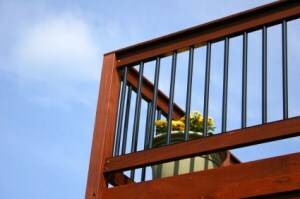 let the experts at Menjivar's Painting restore your deck's beauty and protect your investment. Menjivar's Painting deck painting and staining specialists have years of experience in caring for Revere Massachusetts decks. When it comes to long lasting, cost-effective deck staining, in Revere, Massachusetts, Menjivar's Painting is the Revere deck restoration specialist that Revere residents trust.